You must be 25 years old to rent this condo! 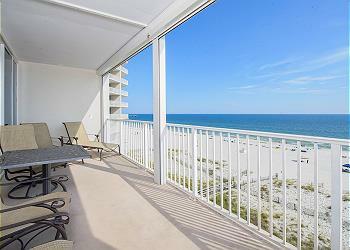 This 2 bedroom, 2 bath unit has a bunkroom on the 6th floor of the fabulous Lighthouse. Relax and enjoy the peaceful, calming sounds of the surf from the master bedroom, with its comfy, king bed. The master bath has a separate stand alone shower, and Jacuzzi tub. The second bedroom has a king bed and is very tastefully decorated, and there is also a bonus fun, bunk room for the kiddos! this unit has a fully stocked kitchen to enable you to prepare your own meals, but it is centrally located to several great restaurants and shops if you want to go out. The Lighthouse has many amenities to accommodate everyone in your party. There are 2 outdoor pools, 2 hot tubs, an indoor pool and a fitness room with a sauna. Guest will be required to purchase a parking pass upon arrival, these can be found on the 2nd floor and purchased from the guard on duty at $25 per pass. "Loved everything about this condo and the location! The management company was very helpful with our "last minute" reservation request. They provided detailed instructions and then followed-up with email confirmations. The property description was accurate. It was well maintained and we had everything we could've possibly needed!" "It was great. The condo was in excellent condition. Clean, cool. Everything we had hope for. I give it all 5s"
"We had a really good time. Condo was perfect for our little family. The cleaning lady didn't clean it very well before we went in, but we just cleaned it up ourselves and enjoyed the week. We hated to leave! The lighthouse was a perfect location to watch the fireworks for the 4th! " "It was good. Very nice rental. The elevators were extremely slow. Had everything in place. The sprayer in he kitchen sink was broke but that "
"We had a group of 5 20-somethings and 2 50-somethings for my daughter's birthday weekend. The condo was beautiful, plenty of room for all of us, plenty of shops and restaurants around to keep the younger crowd occupied. The kitchen was well stocked with cookware, dishes and utensils. Beds were comfortable. The bunkbed closet was a bit tight. Nice big balcony, nice pools. And there was a Sequence set under the TV in the living room! Its a favorite family game for us and tbe women beat the men every game. Stick with the blue chips." "My family, including wife, 5 year old, and 1 year old twins, stayed in this unit for three nights for Labor Day Weekend. The condo was very spacious and clean. The security staff was helpful and caring, with one in particular. The king size bed in the master bedroom was amazing. Out of the two outdoor pools we stayed in the East pool. Half of the pool is only about a foot deep which was perfect for my little ones to walk around and play in the water. The two best places that we ate during our stay was at Sea N Suds, which is only about a 5 minute walk, and DeSotos Seafood Kitchen." "The stay was great close to everything and the board walk right to the beach and the walk in pool for my kids that was the best thing . I would stay here again." "Rental company is very helpful. Lighthouse is centrally located for shopping, restaurants and kids' activities." "This was an amazing location and facility. It completely exceeded our expectations and we would easily go back again!" "We had a very enjoyable experience, the condo was clean and beautifully decorated, had a great ocean view. I loved receiving my room instructions via email, no waiting, no keeping up with keys. Will definitely stay here again." "We stayed at Lighthouse and were super-impressed with the cleanliness, convenience, and the professionalism of the Sunset Properties staff. It was by far the smoothest experience we've ever had in booking a rental. We are already talking about coming back next year!! The room was spacious and had a fantastic view!! The staff was very helpful in letting us know the info we needed when we needed it. Thank you for a great stay!! We'll be back next year Lord-willing!" "It was wonderful. Beautiful condo, helpful service via phone to stay longer. " "Love, love the Lighthouse! This unit has everything you need! Sunset Properties was so nice and accommodating!" "Had a very good vacation. The location was convenient with a market and Sea and Suds within walking distance. Only a couple of complaints, the queen size bed not comfortable and we had noisy neighbors above us. " "Our experience was simple, wonderful and we will be staying here again"
"This is our second year at Lighthouse but about our 6th to this beach area. Another enjoyable family vacation! Condo was very nicely decorated and comfortable!" "The property was very nice and clean. Everyone we spoke to was always very friendly and helpful. We would for sure rent from them again. " "I was concerned at first because I had never used this site and did not know what to expect. The service was excellent and easy to follow. Everything was exactly like the photos ... I had to make plans within 2 days of arrival due to weather so they made everything super simple and easy ! The condo and view was fabulous to say the least and the beach service was world class! I would highly recommend this unit and Sunset Rentals for anyone! we will differently be back soon!" "We had a wonderful time at the beach and staying right on the beach was a major plus !! The condo was in excellent condition and very clear which made it very comfortable to stay. We will return!"